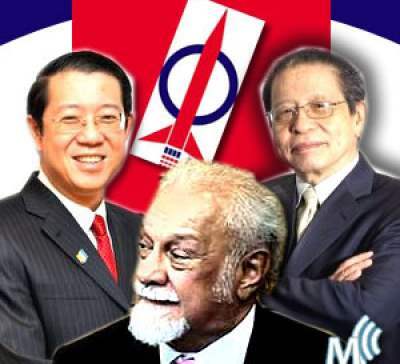 The coming general election will see the unholy marriages of Pakatan Rakyat (PR) disintegrating as the three parties – PAS, DAP and PKR – struggle to keep the marriage knot intact. It cannot be denied that their political relationship is facing turbulence as each party tries to stand out from the other, highlighting issues that matters only to their respective party rather than to the larger Malaysians. DAP no longer cares about the Malay votes as the party continues to woo for Chinese and Christian votes as it has no intention of forming the government at federal level. The party’s focus is only retaining Penang as losing the state would mean the end of the party’s Chinese agenda and worse part is a lot of ‘skeleton will be revealed’ by the incoming government. And the chance of getting back the state if once lost is zero which is why Lim Guan Eng or the tokong and all the party leaders concentrate their efforts in Penang, the island that can be made into a ‘little Singapore’. Nothing to hide of DAP’s intention on Penang Island and PKR Malays in Penang are aware of this which create the uneasy feelings among them. Given the distrust between Guan Eng and Malay PKR leaders in the state, DAP is not expected to get much of the Malay votes and in such situation, DAP has to play the race and Christian cards. Going on party philosophy alone is insufficient to pull the Chinese votes as not all Chinese are chauvinistic and thus, the hope to get all Chinese to support the party is just a dream. So Guan Eng plays the Christian card and this in reality further strains the already rocky relationship the party has with PAS and PKR Malays. PAS on the other hand has made it open that the party will stick to its fundamentalism and it does not care what others think or feel or say, just like DAP, no more and no less. 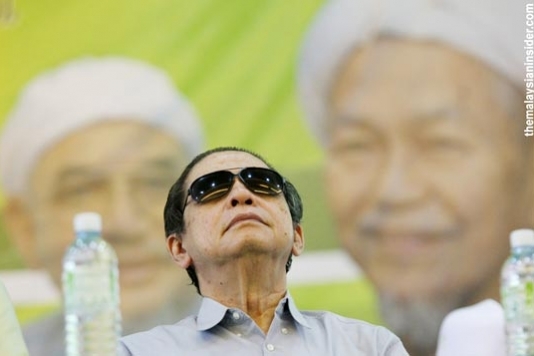 In fact, even on the position of Prime Minister, PAS insists on its president Abdul Hadi Awang rather than PKR de facto chief Anwar Ibrahim who DAP wants, a man who can easily be manipulated as long as one satisfies his wish and desires. PAS and DAP have been at each other’s throat on most issues particularly on religion and it is a known fact that both parties cannot see face-to-face, except playing PR for public consumption. And both parties do not trust PKR as they see the party is without philosophy and at the rate Anwar is going now, PAS and DAP know Anwar and PKR are going ‘down the drain’. And PAS and DAP do not want to be dragged down together as PKR falls. Both the parties need to survive and to do so, they have to leave PKR behind, no extra baggage. Thus, the coming general election, Malaysians can expect parties in Pakatan fielding candidates against each other, of course under independent banner, as they contest each other while same time trying to dislodge Barisan Nasional (BN).